As summer kicks off and the Fourth of July weekend is quickly approaching, the idea of spending the weekend camping in the summer weather becomes more and more idyllic. Yet regular outings can sometimes be hard for families and even more so for those with a child on the Autism spectrum. Don’t let this stop you from having a wonderful time with your little one in the outdoors this Fourth of July weekend. Here are a few tips that will make camping outdoors fun and stress free. Friends and Family: Bringing friends and family on a camping trip can be quite resourceful and helpful. 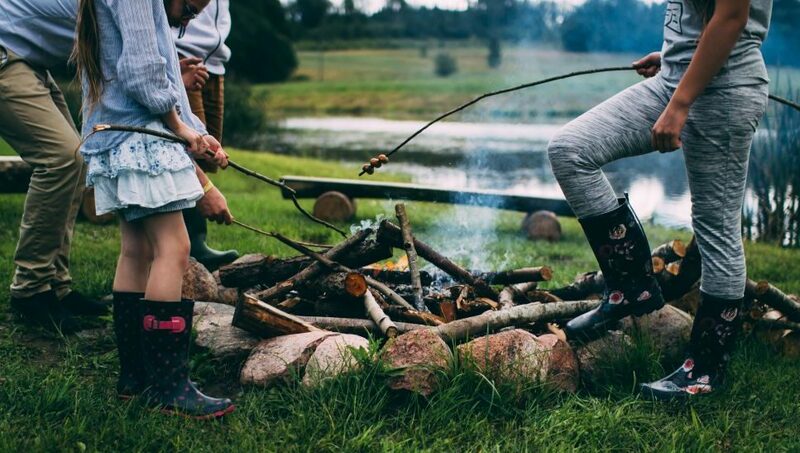 By having another adult, you will not only have more freedom to do camp life activities such as cooking and making smores but it’ll also allow you to do these tasks without having to worry about the whereabouts of your child. Inviting children around your child’s age can also be a wise decision. This will allow your child to play with individuals their own age. Get an Electric Site: The goal of camping is to get back to nature but having the option of using electricity on your campsite can sometimes be the factor that makes or breaks your trip. There can be times when your child may just need a break from nature and get back to the iPad which ultimately needs electricity. Whether or not you use the electricity at your campsite, we recommend it. It is better to have something you don’t need than need something you don’t have especially while camping. Plot your Site: Reserve your camping spot ahead of time and be aware of all the amenities around it. We recommend finding a bathroom nearby so that you and your little one won’t have to stress about finding one or running across the campground when nature calls. Bring Lots of Snacks: Munching and snacking is something that kids love to do and this is no different when it comes to camping. Having lots of snacks on-hand can help you avoid having a “hangry” child on your hands. In addition, snacks can also be used as a reward when your child doesn’t want to do certain camping activities. Shade: Despite the beautiful summer days, the heat it brings can sometimes seem intolerable and can lead to a cranky child. We suggest that when you are picking a campsite that you look for a site with shade. Most parks have notes when you book online about the conditions of the park, including if it has shade. But please make sure to note that none of this shade is provided by poison ivy. Hope Out Loud is proud to provide families with funding for autism services. Families who have successfully secured autism therapies for their child through private health insurance most often still contend with expensive copays or coinsurance, and deductibles. The Co-Pay It Forward program exist to help cover these cost to family who do not qualify for assistance through traditional methods. Hope Out Loud wants to wish your family a Happy Fourth of July. May your weekend be filled with family fun and fireworks.